When Dr. Ajay Pachika was a boy growing up in India, he knew he wanted to become a doctor. The reason was straightforward. “Most of the people in the community that I looked up to and respected were physicians because of the way they took care of patients and were available when family members needed them,” says Pachika. 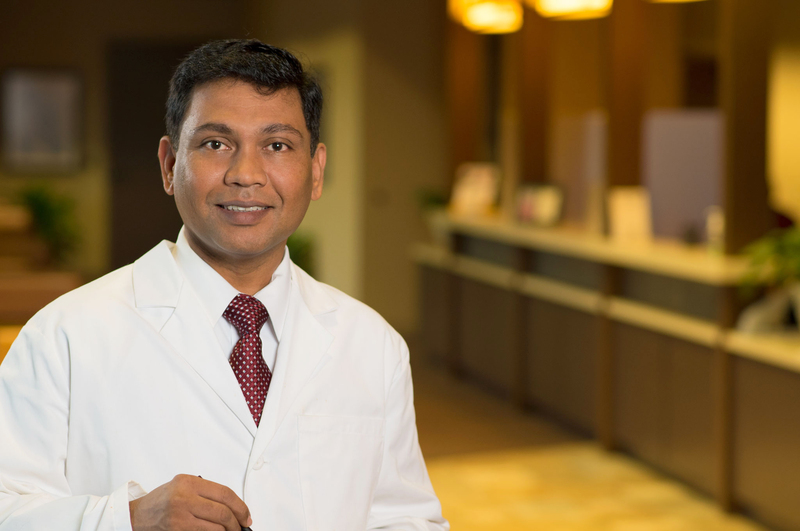 That sense of responsibility and the privilege he feels caring for patients is why Pachika strives hard to both be meticulous in finding the best treatments while also involving patients and their families in making decisions. “I want them to be involved in making sure they are safe and able to get back to their lives and be there for their family,” he says. Pachika is especially happy to be practicing medicine in Tyler, a place that he was introduced to almost by chance. Pachika and his wife visited a nearby town for a job interview at another practice, and on their way home stopped in Tyler for dinner. They were both impressed with what they saw. “My wife said, ‘this is a beautiful town, and it seems like a good size to bring up a family,’” recalls Pachika.